Don’t be confused by the title of this post. It’s a statement encouraging you to stay at If You Want Hostel in Sukhothai. The name of the backpacker accommodation is as intriguing as its ambience. My late night arrival coming from Bangkok forced me to climb straight to my bed to finally call it a day. If you want hostel, then stay here! The following morning, the simple breakfast and strong coffee served at the hostel’s kitchen warmed me up. I got to meet few travelers from different parts of Europe by sharing the dining table with them. 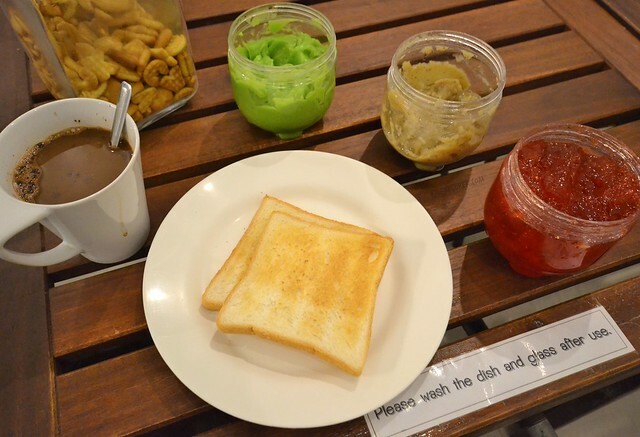 Everyone was bemused by the pandan spread. One of the German ladies said that the spread looks awful but it tastes really good. Other folks seated on the table got curious and tried to scoop for their bread. It was a fun first morning at If You Want Hostel. Coffee, biscuits, bread, and spreads. 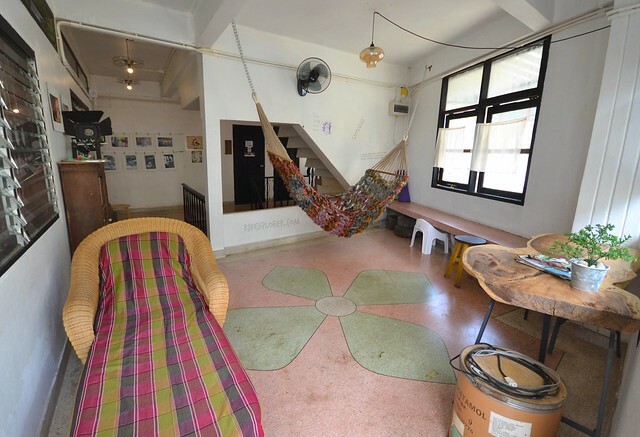 Near the dining area is the hostel’s kitchen equipped with a fridge, kitchen stove, and utility sink. Guests can also use the kitchenware and silverware if they need one. The management just asks everyone to clean everything before they leave. If the dining area gets crowded, a couch and a table are located few meters from the reception desk. 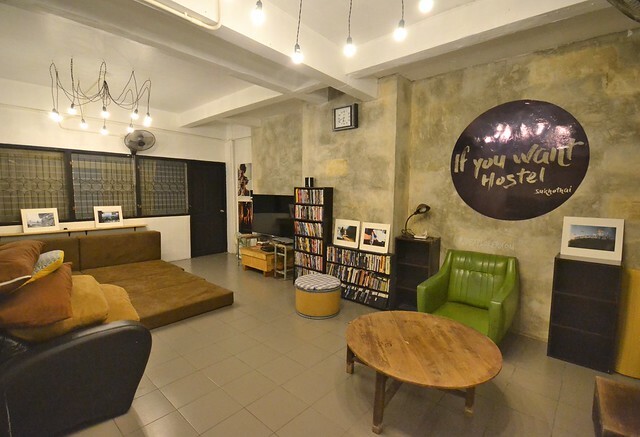 Homey vibe of If You Want Hostel is still evident on the type of fixtures used in the lobby. Large windows covered with white sheets serve as natural ventilation on the ground level. Not far are two computers that guests can use for research whether on where to go next or transportation-related queries. Need to search for something? They’ve got you covered. Common area on the second floor. The cool concept of the hostel continues on the second floor. The hall on the second floor has a lounge chair, a working desk, and a hammock. I found travelers, including myself, take turns on these spots during our stay. If you want to watch movies or TV shows or read a book, If You Want Hostel has an entertainment room on the second floor. You can also randomly take a book from the two shelves filled with books from travel guides, novels, and autobiographies. If you’re curious about the movie posters, approached the owners and you’ll know why. 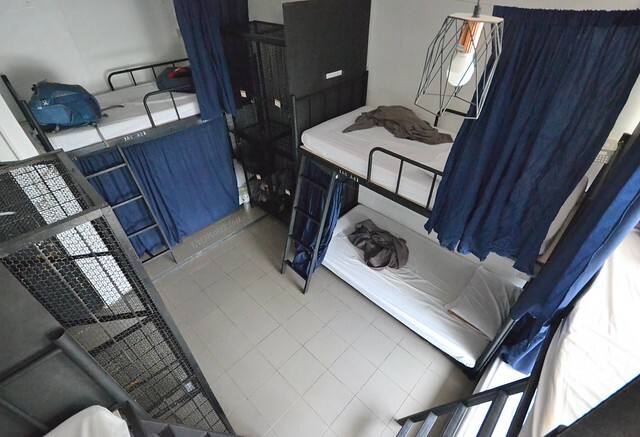 Rooms on the second floor of the hostel are all dormitory rooms. I was assigned in an 8-bed mixed dorm with big screen lockers providing enough space for guests’ luggage and backpacks. No locks are offered so it’s better to have one on your visit. If You Want Hostel Sukhothai dorm rooms. Every floor has a common shower. On our floor, it’s on the far right with around 4-5 cubicles each for toilet and shower. 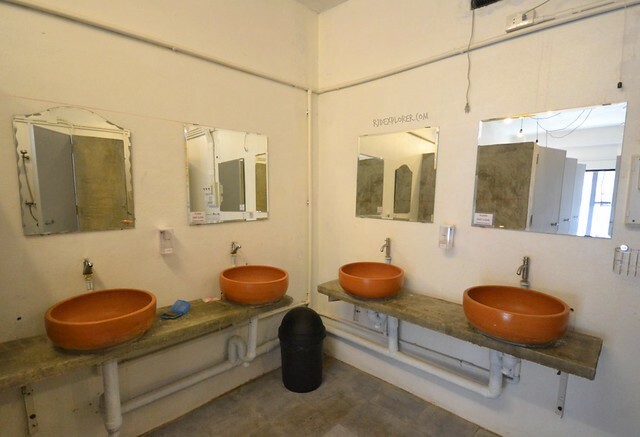 Four sinks complete the basic shower facilities the hostel offers. One of the things I liked about If You Want Hostel are the hallways. Black and white portrait photographs and few interesting photos transform these parts of the hostel into a photo gallery. By the way, all photos were taken by the owner himself. 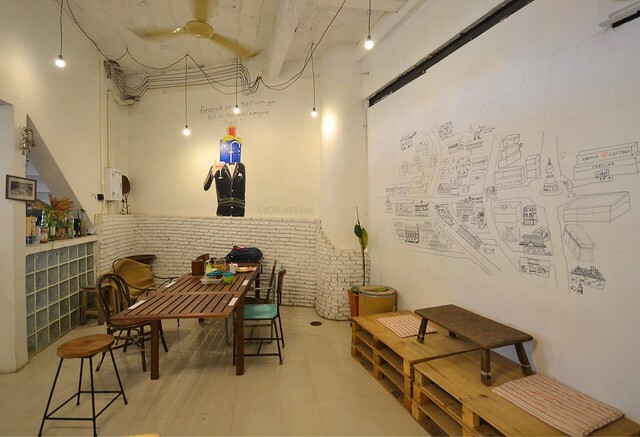 To help other travelers visiting other destinations in Thailand, two blackboards were used for hostel recommendations. 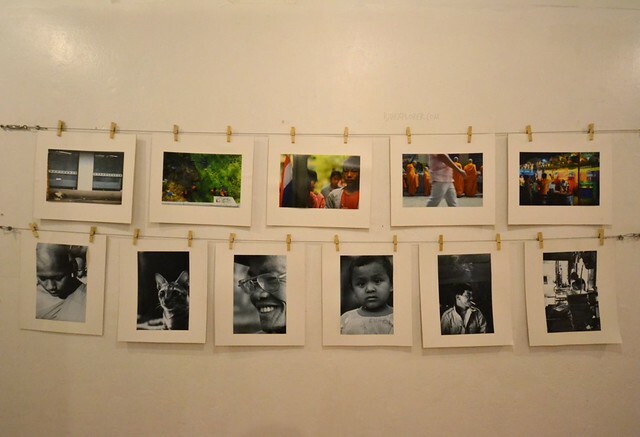 All guests can write the name of their suggested hostels on Thailand destinations. Captivating portrait and street photography by the owner. 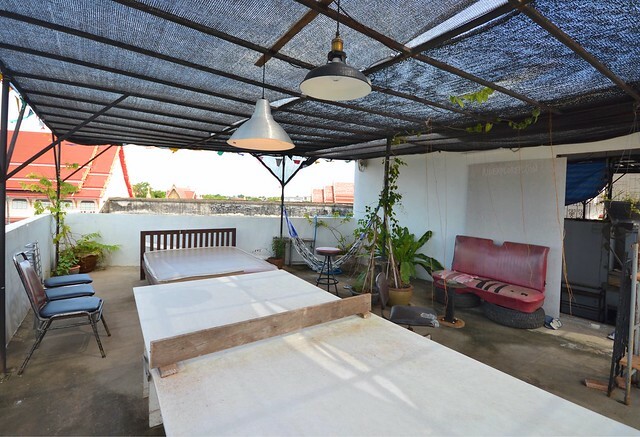 If You Want Hostel has a roof-deck with a table tennis board, lounge beds, and hammocks. During my stay, the hostel staff had a movie night on the roof-deck where we enjoyed a movie under the evening sky of Thailand. Bed, sun lounges, and table tennis board on the roof deck. Another great thing to note in considering If You Want Hostel is its proximity to the night market. 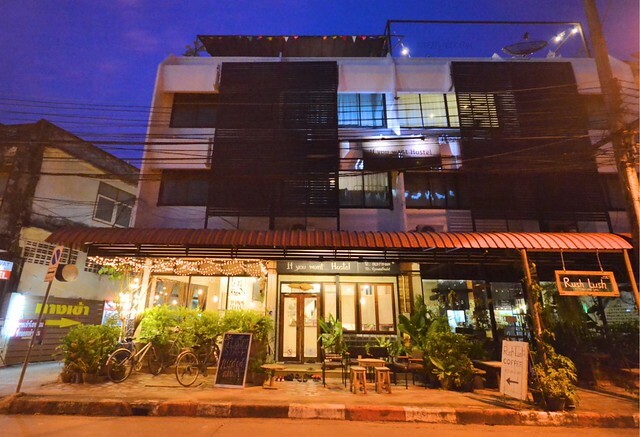 The hostel is on Nikornkasem Road where the night market runs from 5 PM until 8 PM. On Fridays til Sundays, the entire street is closed to give way to the booths selling items from fried insects, delectable Thai food, desserts, and fruits and fruit shakes. Cool interiors of Rush Lush Cafe, also owned by If You Want Hostel owners. 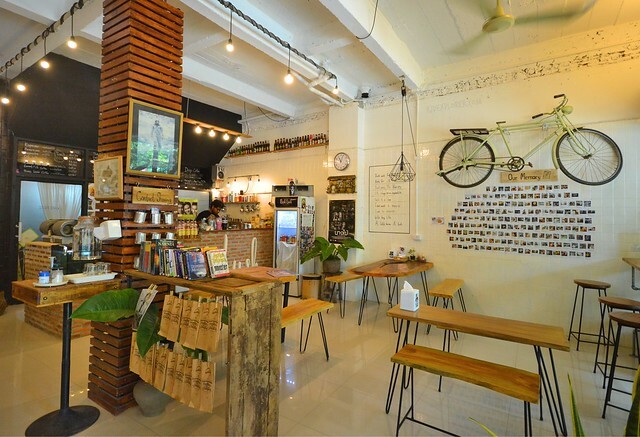 Right at the doorsteps of the hostel is Rush Lush Cafe and Restaurant, also owned by the owners of If You Want Hostel. There’s an access door connecting the hostel and the cozy cafe. 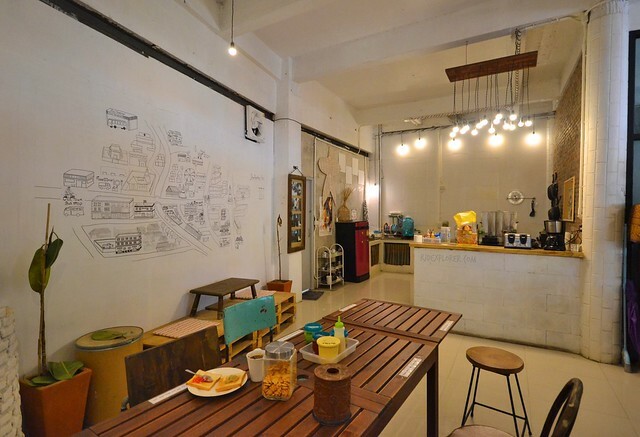 Rush Lush emanates the refreshing ambience of If You Want Hostel. I found myself two mornings at the café ordering Vietnamese pan egg (THB49), rice porridge (THB35), fruit muesli with yogurt (THB90), and eggs benedict (THB60). 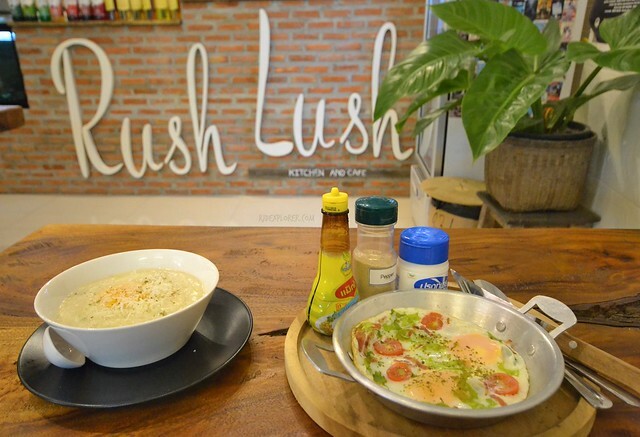 Apart from the meals, Rush Lush Café also offers coffee, tea, and non-coffee beverages. These are not the hostel’s breakfast but morning delights offered at Rush Lush cafe. Sukhothai is famous for Sukhothai National Park for the ruins on the 70-square kilometer land. For thrill-seekers, bike and motorbikes can be rented from the new city to the old city that is 4 kilometers away. If not, walk few hundred meters from If You Want Hostel to the songtheaw station that brings tourists to the national park. In exploring the park, you can rent bicycles for THB30 for an entire day of biking. If You Want Hostel is not that grand as the hostels in Bangkok but its ambience makes it a standout. Travelers usually pick Ayutthaya over Sukhothai in terms of temple ruins but I prefer the latter because of its laid-back vibe and probably because of its bike routes. 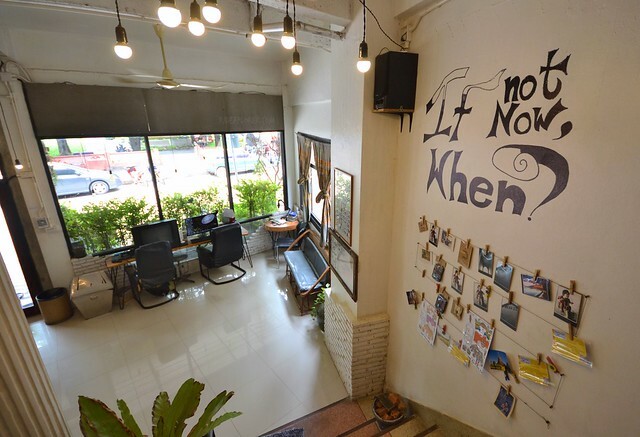 Anyhow, if you’re one of the few who picks Sukhothai, don’t miss the awesome hostel experience at If You Want Hostel.